India has seen a manifold increase in internet users in the last couple of years, India is rapidly becoming a digital nation. According to internetlivestats.com, India has the highest yearly growth rate and currently has the third largest number of internet users globally. According to latest report of TRAI, total number of internet subscribers has increased from by 12.01% from December 2013 to reach 267.39 million in December 2014. If we do further deepdive analysis with the data, we see mobile internet users are the dominating segment among internet users. 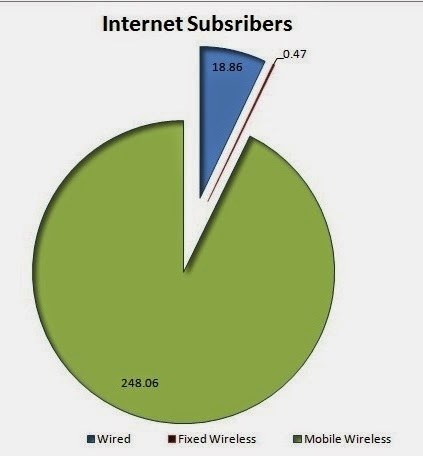 Among total internet subscribers, wired internet subscribers were 18.86 million (which registered yoy growth of 2.9%) and wireless internet subscribers were 248.53 million (which registered yoy growth 12.77%). Among wireless internet subscribers, mobile wireless (mobile & dongle) subscribers increased by 12.8% from 219.92 to 248.02 million in December 2014, whereas fixed wireless ((Wi-fi, Wi-max, point-to-point radio & VSAT) subscribers increased very marginally by 0.73% to 0.46 million at the end of December 2014. It’s clear that mainly smart phone penetration is boosting the internet usage across the country and internet usage on mobile devices has already exceeded PC usage. Cheaper and faster mobile networks, a rise in the number of users of these networks, and more affordable 3G and 4G handsets will help to increase mobile data traffic. It’s the true fact that the key driver of data growth on a global scale is mobile apps with billions of devices to be connected each other and the online healthcare and online retail spending expected to grow at a higher rate. Internet penetration in India is no more only limited in urban area, approx 35% of internet users are from rural India. At the end of December 2014, internet subscribers in rural area was 92.18 million with tele- density of 10.66 and internet subscribers in urban area was 175.21 million with tele-density of 45.33 . “Digital India” programme and “NDSAP” policy (https://data.gov.in/sites/default/files/NDSAP_Implementation_Guidelines_2.2.pdf ) are timely initiative by Govt of India and promises to transform the country into a connected knowledge based economy. The growing internet penetration in India is producing new probabilities to share information and services among a larger number of people, more rapidly and at lower costs. According to a study by Department of Electronics and Information Technology(DeitY), the Internet of Things (IoT) industry in India is expected to be a $15 billion market by 2020 and it is expected that India would have a share of 5-6% of the global IoT industry. We have more data on our fingertips than ever before and as we stand at the apex of this ‘internet of things’ revolution, as we are starting to have more connected devices which are going to put up more data. There is a clear connection between the maturity of internet usage and rising standard of living.Our standard of living is not just a function of higher levels of efficiency, but of the quality of products and services. ‘Internet of things’ revolution is helping organizations and service providers a greater opportunity and incentive to boost quality and enables more information about quality to be collected. It also makes it easier for organizations to design more customized products and services, which are of higher quality because they more closely fit the choices of consumers. Moreover, internet growth boosts innovation by giving users more of a role in shaping innovation, in part by making research more collaborative. Internet growth has also lead to massive job creation, as internet/eCommerce companies are hiring employees from IT professionals to sales/services professionals who deliver online products and services.Internet usage triggers performance improvements of large MNCs, but the impact of the internet growth is more visible on the SMEs, making it possible to reach to a vast consumer base, suppliers and to tap new talents from the day 1 of its business. As a result they can compete with big ones. This has led to the emergence of so called micro-multinationals. The biggest growth will come in e-commerce, which will expand almost 5-fold, while education and healthcare via mobile internet will expand internet use. Internet growth would indeed motivate entrepreneurship and wealth creation due to the huge potential of untapped Indian market. In the near future the Internet will basically affect every dimension of our life, as we see the rise in use of IoT things, which make the everyday life of man easy and worthwhile. 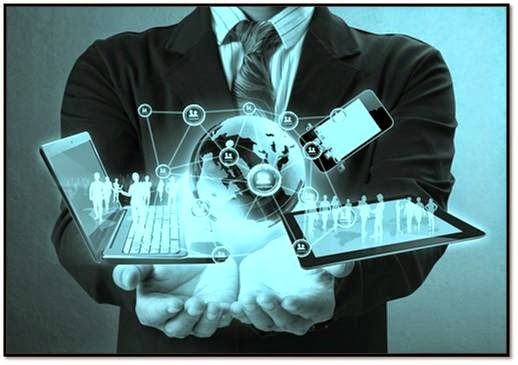 As it works on the internet connectivity, human engagement and work load will be lessened, thus leading to a better output and growth. Internet growth has already served the notice that it will be a revolutionary force resolutely restructuring the economy and society of this century, we should not lose sight of the immense potential of internet economy to boost growth across India and the globe.